Sri Lanka’s former president Mahinda Rajapaksa met with officials from Facebook on Tuesday, where they discussed cyber security and the spread of “fake news”. 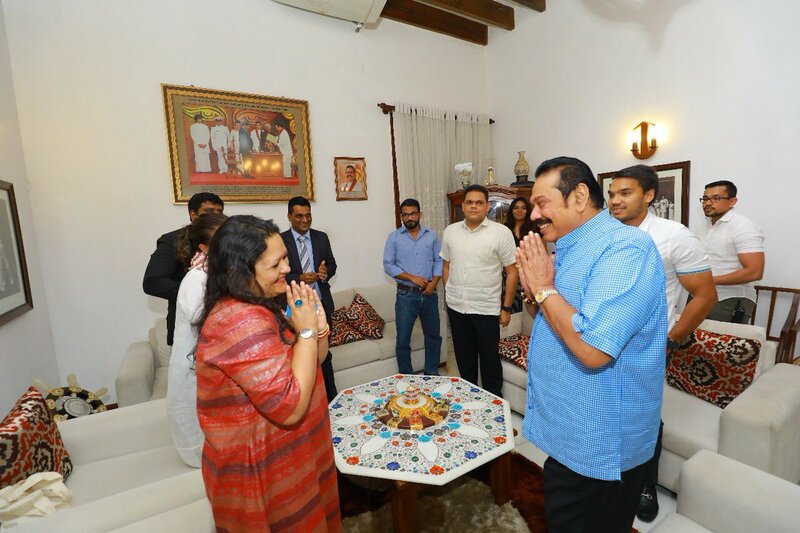 Rajapaksa, who oversaw the killing of tens of thousands of Tamils as president and is a staunch Sinhala Buddhist nationalist, tweeted photographs of his meeting with the public policy director for South & Central Asia from the social media company, Ankhi Das. “Discussed an array of issues including cyber security, accessible market space for SMEs and the increasing circulation of fake news,” tweeted Rajapaksa. A gift exchange between the two also took place. Facebook came under heavy criticism last year on the island, after it emerged Sinhala hate speech against Muslims and Tamils would be posted on the platform unchallenged. Facebook and WhatsApp were cited as a catalyst for anti-Muslim violence that occurred earlier last year, although some observers pointed out that pogroms against Tamils and Muslims had been endemic to Sri Lanka long before the advent of social media and viral news.